Children of smoking parents are exposed to a great deal of tobacco residue and all of the chemicals that linger on furniture, clothes, and other household items long after cigarettes have been burnt out. Now, a new study conducted by researchers from the University of Cincinnati found that thirdhand smoke exposes children to nicotine and other carcinogenic chemicals that can lead to respiratory issues. The researchers had over 100 children participate in the study, all of whom had been admitted to the Cincinnati Children’s Pediatric Emergency Department because of smoke-related symptoms. All of the children had at least one person in the home who smoked, and their hands were wiped and tested for nicotine exposure. More than 50 percent of the participants were younger than two years old, and the researchers found they had nearly 70 nanograms (ng) of nicotine on their hands. However, for children between the ages of two and four, that number tripled to over 185 ng of nicotine. “Future work should explore the associations of hand nicotine and age to determine how children’s changing interactions with their environment and behaviors contribute to increased nicotine in two- to four-year-olds, whether handwashing decreases the risk and whether increased levels are associated with increased [secondhand smoke-related] clinical illnesses,” the researchers wrote. The amount of nicotine found on the children also depended on how much their caregiver smoked. Even when the children’s caregivers didn’t smoke around them, the children still had 82 ng of nicotine on their hands. The researchers found that number went up to 200 ng of nicotine when parents smoked 15 or more cigarettes each day. Children who were exposed to greater levels of nicotine were also more likely to have other health concerns, such as wheezing, coughing, and respiratory issues. The researchers note that cleaning and handwashing are not effective methods of keeping children safe from nicotine exposure, and they encourage parents and caregivers to quit smoking in order to reduce children’s exposure to dangerous chemicals and potential health concerns. 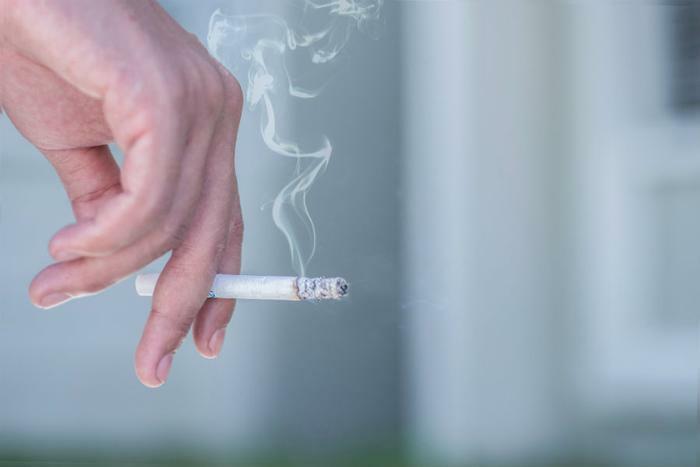 A recent study found that children of smokers have a “significant” amount of nicotine on their hands, though the side-effects of second- and thirdhand smoke could be worse for children in rural and low-income areas. In an effort to try to keep children safe from second- and thirdhand smoke, lawmakers made it illegal to smoke in federal public housing units. The law states that lit cigars, cigarettes, or pipes must be smoked at least 25 feet away from all public housing units.